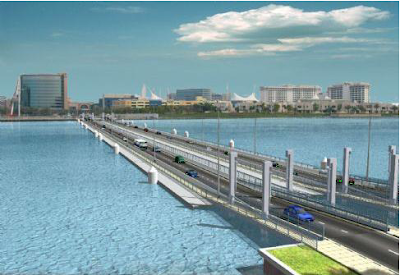 Floating Bridge is a pontoon bridge (floating bridge) in Dubai, United Arab Emirates. 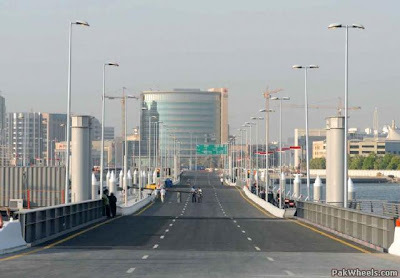 It connects Riyadh Road, Dubai Courts and Creek Park on the Bur Dubai side with Baniyas Road, Deira City Centre and the Dubai Creek Golf & Yacht Club on the Deira side. 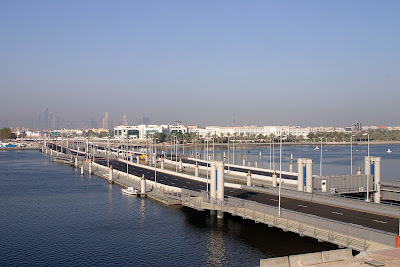 Floating Bridge is the fifth crossing on Dubai Creek. 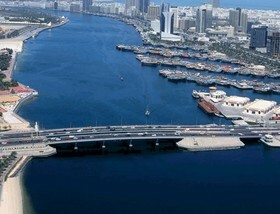 The others are Al Shindagha Tunnel, Al Maktoum Bridge, Al Garhoud Bridge and Business Bay Crossing. The bridge, which cost 155 million dirhams to build and has a capacity of 6,000 vehicles an hour, was opened on 16 July 2007 with much fanfare. 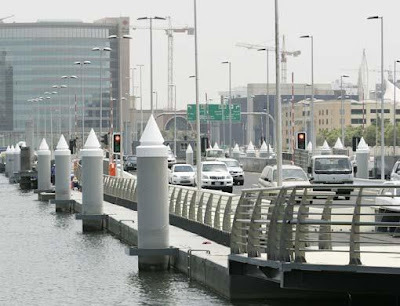 Opening only two weeks after the implementation of Salik, people were glad to have a fourth free crossing across Dubai Creek. 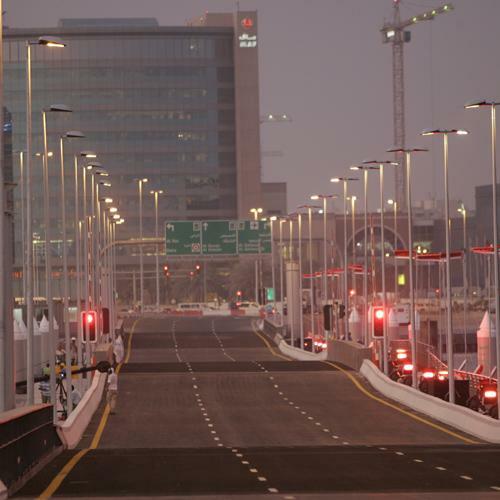 The Floating Bridge came to reality due to the vision of Sheikh Mohammed bin Rashid Al Maktoum and the expertise of the Dubai Roads and Transport Authority (RTA). 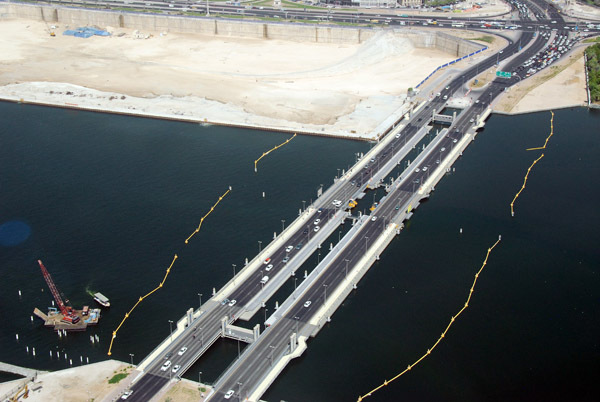 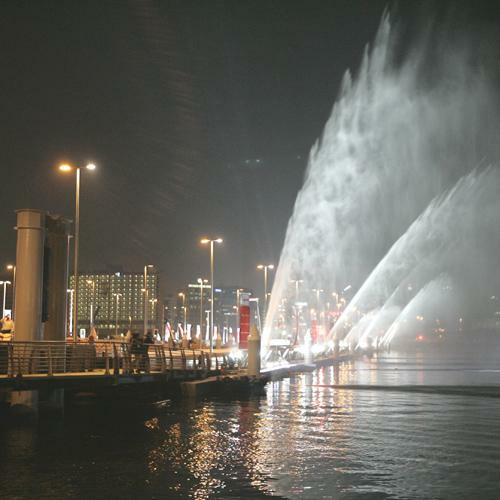 The construction of floating bridge was completed for a whopping 155 million dirhams (42 million USD) and on 15 July 2007 a ceremony was held to officially open the floating bridge in the city of Dubai to traffic. The bridge is open daily from 0600 (6 AM) to 2200 (10 PM). During off hours, the bridge is opened to allow boats to pass through.